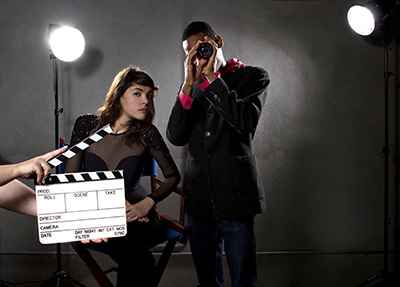 Welcome to the Bentonville Film Festival Creators Page! Submissions to the 2019 Bentonville Film Festival are now closed. Please review our submission guidelines to see if your film aligns with our mission of inclusion in media. We look forward to seeing your film in the fall of 2019! Each year we select between 45-55 mission aligned feature films, 30–40 short films, and 15-20 episodic series to play in each of our festivals programs. Please select from one of 6 submission categories below. Short Film: Fiction and Non-Fiction films from around the world from emerging and established filmmakers. For the purpose of the 2019 Festival, a short film is any fiction, non-fiction, animated, experimental short films from the U.S and around the world with a running time of 30 minutes or less. We do not accept submissions for the Spotlight category (Content that is mission aligned but already has distribution from a studio, distributor or broadcaster). Native and Indigenous Storytellers: Fiction and non-fiction films from around the world with a focus on Native and Indigenous stories or from Native and Indigenous filmmakers. Next Gen/New Wave: Fiction and non-fiction films from emerging filmmakers 25 years of age or younger from an underrepresented group. Family Films: Mission aligned films for the whole family. The culmination of the Bentonville Film Festival is the award ceremony. The competition juries comprised of individuals from the worldwide film community with original and diverse points of view select films from each of the 6 categories to receive a range of awards. Decided by Festivalgoers’ ballots, Audience Awards are bestowed upon films in each of the Festival’s 6 categories. BFF is unable to provide fee waivers because the above fees cover BFF’s costs and expenses in administrating this Competition. Please note that the Samsung Create Student Short Competition dates are different from the above and will be posted soon. * The full Rules and Regulations may be found below. All representatives of the competition entries will be required to sign an “Applicant Certification Statement” by which Applicant acknowledges that Applicant has read the rules and regulations and agrees to be bound by these rules and regulations, including the representation and warranties and indemnification provisions.